Home > Travel > Cheapest Way to Ship a Cat & How Much Does It Cost? Shipping your cat across the country or overseas without you? Sometimes, due to logistic and financial reasons, you might need to ship a cat if you and your feline can’t travel together. We know – we’ve been there! On two separate occasions, Paul and I have had to ship our cat by plane without us on the same flight (once from Nepal to the US, and from the US to France). It was intimidating, but at that time, it was the best option for our situation! There is so much ambiguity around this topic of how much it costs to ship a cat and how exactly do you even go about sending your cat somewhere without you. Hence why we’ve created this guide to help other cat owners wishing to do the same. 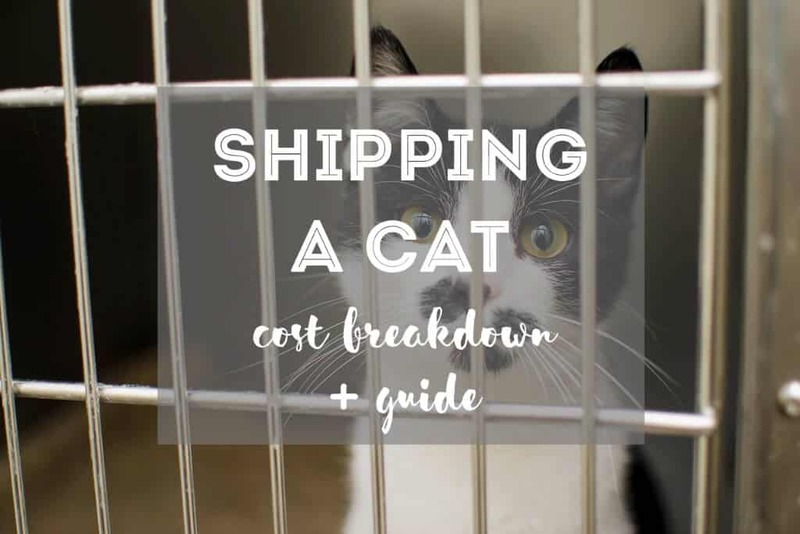 Here are our best tips for cat shipping prices and how to ship your cat abroad without you. Assuming you want to ship your cat by plane, the cheapest way to ship a cat is by using an airline’s cargo service (and avoiding the use of pet relocation services). Let me explain why. Shipping your cat is not that different than if you were flying with your cat. The only real difference is that you won’t be on the other end to pick your pet up! I’ll go into detail about our experience in a bit. With that being said, since you can do everything yourself to ship your cat, you don’t need expensive pet relocation services. Now, remember this is our personal opinion and not cold-hard facts! You might have a crazy situation or itinerary and absolutely no time to get everything sorted – in which case, a pet transport company might be of interest to you. But also don’t forget, using a pet relocation service is not going to be the cheapest way to ship your cat. You might be thinking, if you’ve never tried pet relocators, how do you know they’re not budget-friendly? Well, when we first experienced the process of shipping our cat without us, we did some research. 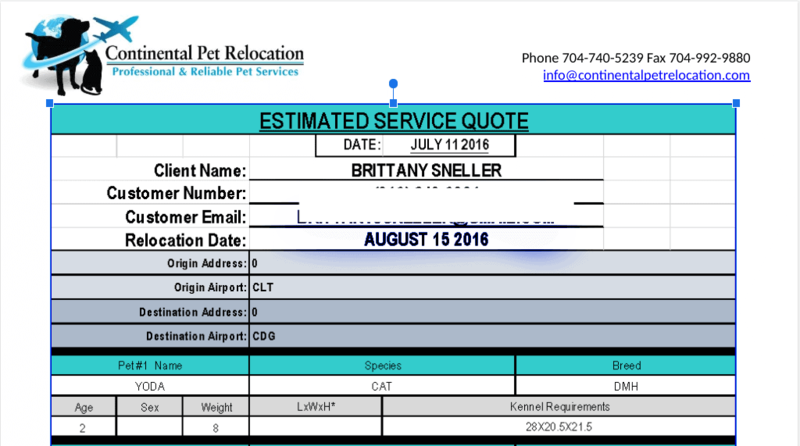 We also got estimations from pet relocation companies. The prices were astronomical. Here is a screenshot of the quote they sent me, as proof. The estimated cost was for shipping our cat from the United States (Charlotte, NC) to France (Paris). That number reads, $1,795 dollars!! And as you can see above, that price only includes 3 things: Boarding, Meet & Greet, and Air Freight. Here is another example of a quote a pet relocation service gave me when I asked about relocating Yoda from Nepal to the USA. No thanks, those services do NOT sound like a solution for Yoda’s relocation! After those emails, we were determined to find a better and cheaper way to ship our cat. And on BOTH occasions, we did!! Instead of thousands of dollars, we only spent the amount of money it would cost to fly a cat in cargo, which is roughly between $200-300 dollars (more on cost below). 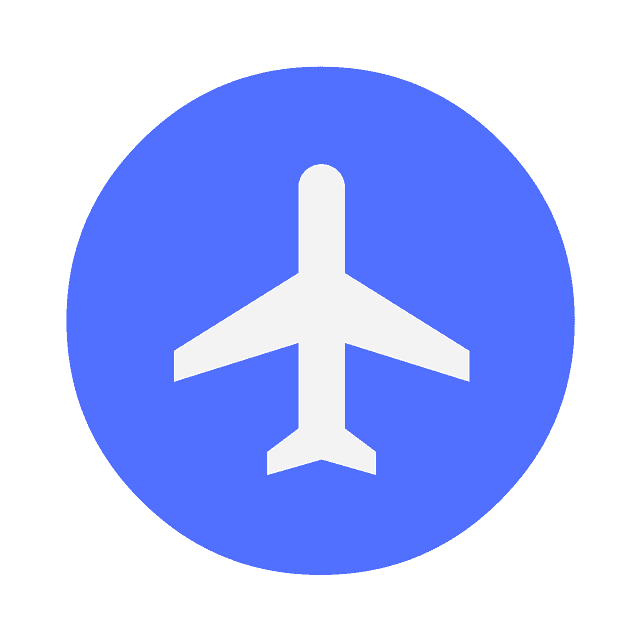 Bottom line: Speaking from our experience, we can say that the most cost-effective way to ship a cat is by plane using a trusted airline’s cargo service and not a pet relocation service. Well, now you know the crazy estimates a pet relocation service might offer you to ship your cat. But WAIT! Shipping your cat doesn’t have to empty your entire savings. We wouldn’t be able to travel with Yoda if it was that expensive!! 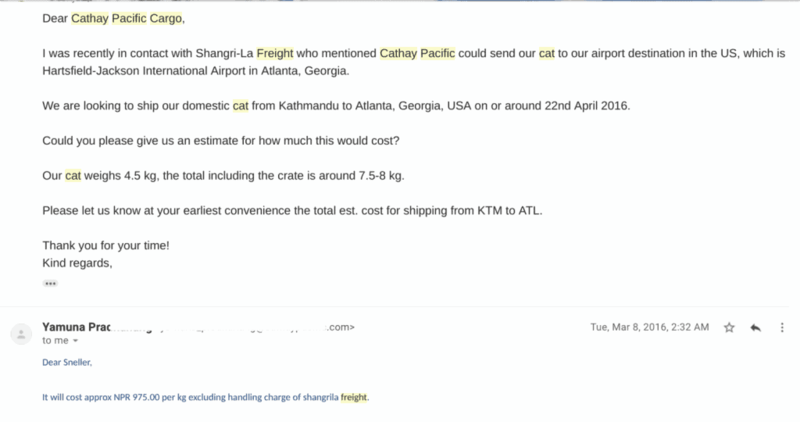 Here’s the real cost of shipping a cat, if you do it normally via an airline’s cargo department. The real cost of shipping a cat will depend on each airline’s cargo requirements and pet policy. The first time we shipped Yoda was with Cathay Pacific’s cargo department from Nepal to the USA. Because I was handling and organizing everything myself, the price was extremely affordable. It came out to be something like $8-10 USD per kilo ( 10 * 8 kilos = $80), plus whatever fee we had to pay at the time. All in all, it cost us less than $200, maybe even less than $150 to ship Yoda from Nepal to the USA. So, for Yoda’s relocation from USA to France – we reached out to United’s PetSafe cargo department who said they do pet transports. The only thing different I had to do was drop Yoda off 3 hours before his flight at the cargo department at the airport. I checked him in from there and that’s it! Paul then picked up Yoda in Paris several hours later. Again, the price ended up being around $250 dollars, give or take 50 bucks. The price is very much the same as regular prices for flying pets in cargo with an airline. What is it like to ship your cat, other than the cost? From our experience, shipping our cat wasn’t too much of a hassle. Our biggest concern was Yoda trusting us to see him on the other side! It’s more reassuring to have a trusted friend or family member to help you with transport. Like when we shipped Yoda to France, Paul was already there waiting for Yoda on the other end, which no doubt made Yoda feel safe seeing his catdad! Obviously, we prefer to fly WITH Yoda whenever possible. Luckily, we’ve only had to ship him without us twice. Since then, he’s flown with us plenty of times in the cabin, which is what we prefer! Sticking together is always best, but sometimes for logistic or financial purposes, flying your cat separately might be the best option. As for the certificates and health documents, it’s all the same as flying with your pet. I have several handy articles if you don’t know what you need for your pet to fly. Check out my article on Yoda flies to Nepal – it covers the majority of everything you need document-wise. As I mentioned, the price for shipping a cat is not that much different than flying your cat in cargo. Here is my ultimate guide on best airlines for cats, I’ve listed some prices for flying cats in cargo inside that might be of help to you. Since your cat isn’t traveling with you, check-in might be a little different than what you would expect at the airport. For example, for Yoda’s flight to France, I had to drop him off at the cargo department’s address, which wasn’t at the airport but nearby. Especially since you’re not there to accompany your cat, you need someone to go pick them up. This is where pet relocation services might come in handy, but again, not for $1,000 or $5,000 dollars. Phone a friend and offer to pay them for their time, it’ll still be 800 times less expensive than booking with a third party. You will have to show proof of relationship and some sort of identification. It was easy for Paul because he could show co-ownership of Yoda, but still, he printed off a signed email from me stating he was to be the one and only picker-upper of my sweet Yoda! There it is! Remember, we personally think the cheapest way to ship a cat is by utilizing a trusted airline’s cargo department. Avoid using a pet relocation service if you really want to keep fees low and affordable. Please don’t hesitate to leave a comment and ask us any questions.